Elliott Bristow kept a Super 8 film diary documenting his 500,000 mile road trip around America - a journey that lasted from 1968 to 1982. The inspiration for this trek was Jack Kerouac's book On The Road, which Elliott first read in 1958. His own diary starts ten years later, though still at a time when you could fill up your car for 33 cents a gallon, there were no such things as video cassettes and Woody Allen had only directed one movie. Over the ensuing years there have been various ways this diary has been presented: a 4 screen travelling film show in the 1970's, a 6x30' television series called Road Dreams in 1989, then DVD sales of short films over these last five years, and now an ebook for the iPad, which provides over 50 minutes of video, 330 images and 33 pages with road stories. 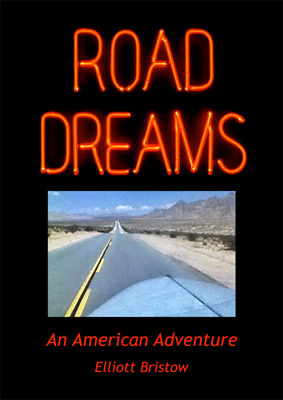 This book Road Dreams an American Adventure is on sale from the iTunes Bookstore or iBookstore (see link above book). All these forms of presentation are part of the long term aim to produce a feature film form of the Road Dreams archive - Codachrome - a time of road dreams - for viewing on tablets and smartphones.